The Favero FULL-ARM-01 is a 3 Weapon Scoring machine suitable for Foil, Epee and Sabre. Its Lamps are formed from blocks of 20 LED’s resulting in increased visibility, vastly reduced power consumption and increased life (typical life: 100.000 hours). It is formed from a resilient shockproof plastic and has two volume settings. The unit is easily updatable to any future rule changes with the replacement of only one electronic component. Two versions: Wall Mounted or Table top. Delivery charge is approximately £45 direct from Italy. Easy updating of the program with the replacement of only one electronic component. Manual or automatic rearmament, selectable 1, 3 or 5 seconds. Sound volume variable on 2 levels: high and low. Function of lights test and correct functioning of the weapons’ circuits. 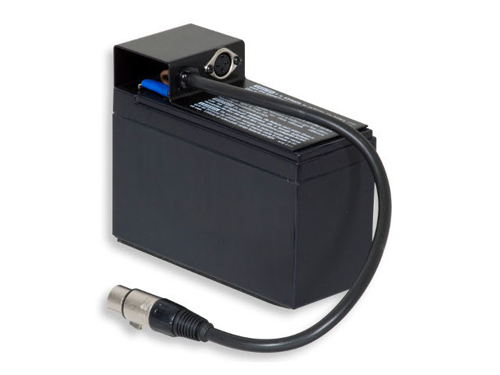 Power supply: 12Vac or 12Vdc, 400mA. Low consumption: 0.07A + 0.08A for each lamp lighted at 12Vdc. Ideal to be fed by a small rechargeable Lead battery of 6-7Ah. In this case, its autonomy, with one light always on, is of approx. 40 hours. 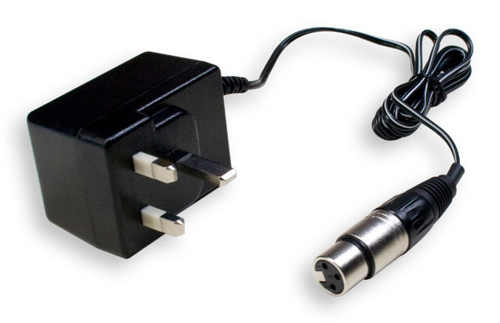 The recording machine signals when the battery needs to be recharged or if the supply voltage is lower than 11VDC. This control is very useful in order to avoid excessive discharge that deteriorates the battery. The lights are formed of groups of leds (typical life: 100.000 hours!). The usual lamps and replacement problems are eliminated. 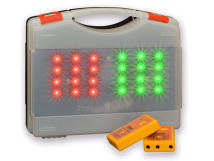 The 4 lights, the green one, the red one and the 2 white ones are formed of groups of 20 leds each, respectively green, red and yellow. The yellow lamps which signal the loss of electricity are visualized with 2 yellow leds each. It is equipped of 2 DATA-LINE outlets for the connection of 2 LIGHTS REPEATERS. These connections are electrically insulated by means of optocouplers for safety. If it becomes necessary to carry out a lights control of high power, special controllers can be connected. The membrane keyboard is sturdy, reliable (5 million contacts) and it is protected from damage caused by dirt and liquids. The container made of shockproof plastic is resistant to the violent shocks of the weapons. In the same way the lights are protected. Available in 2 versions: table version (Art.824) and wall version (Art.825). The FULL-ARM-01 wall version can be transformed in the table version by applying the special Table adaptor (Art.826). Vice versa, the table version can become wall version by removing this adaptor. The wall version (Art.825 FULL-ARM-01/W) is particularly recommended for fixed electrical systems in fencing Clubs. 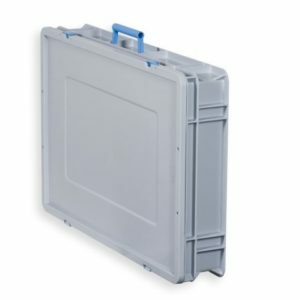 It is supplied with a terminal block for the direct connection of the weapons and of the power supply. The wall fixing is simple and immediate by means of 2 frontal screws. On the opposite wall you can fix the LIGHTS REPEATER.. Both machines have an equal and pleasant aspect and are not cumbersome with only 4 cm thickness. 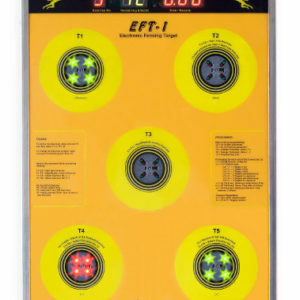 The connection between FULL-ARM-01 and the LIGHTS REPEATER is carried out by means of a common telephone cable with 4 wires which can be up to 100 m long. In this way the system becomes very simple and economical. All Favero scoring products can be viewed at www.favero.com. We will quote on all Favero items below their direct retail price (which are shown on their site minus Italian VAT which is 21%).